English ivy is a beautiful plant with a long history. 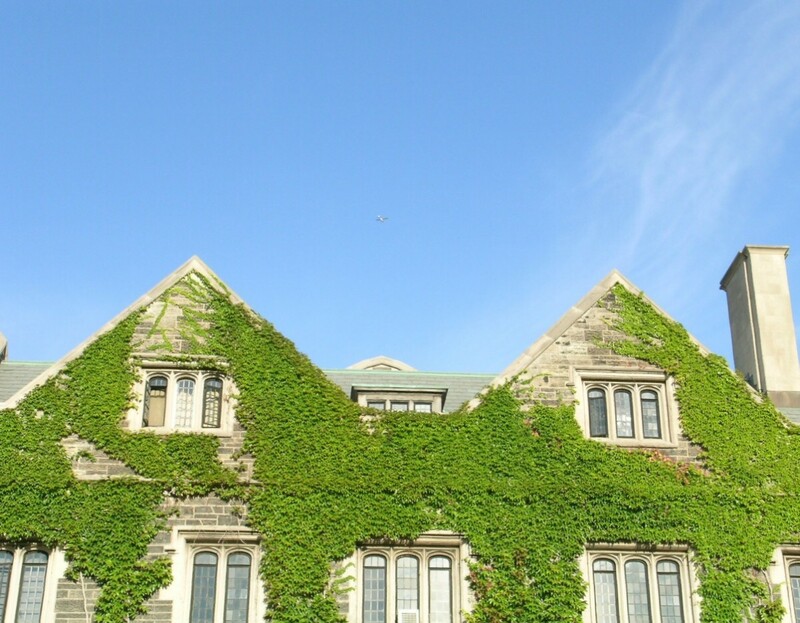 Some people value ivy for its ability to form an attractive cover over walls and tree trunks. Others consider the plant to be an annoying weed that damages the environment and must be eradicated. English ivy is native to Europe, western Asia, and northern Africa. The plant has been introduced to other parts of the world. Unfortunately, as an introduced plant ivy may have no natural enemies to control its growth and may become invasive. An "invasive" plant spreads rapidly and hurts native organisms. Ivy is mildly poisonous. In addition, some people develop dermatitis after coming into contact with the plant. On the other hand, the plant may have health benefits. It has other benefits as well, even in North America, where it can sometimes be problematic. In this article I'll discuss English ivy from a North American perspective. English ivy, or Hedera helix, is an evergreen plant that is found in many parts of Canada and the United States. 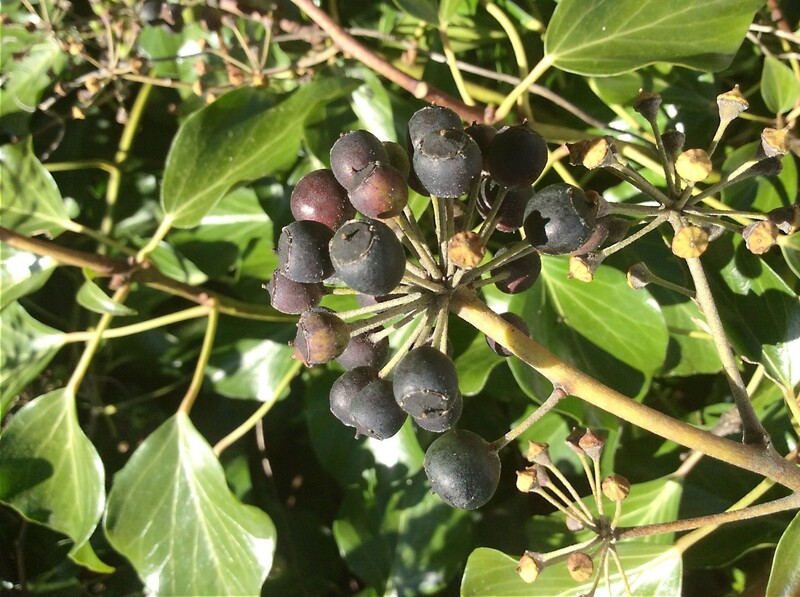 Hedera hibernica is a similar plant that has also been introduced to North America and is often known as English ivy. In its native habitat the common name of this plant is Atlantic or Irish ivy. Like Hedera helix, it may become invasive. The part of English ivy that most people are familiar with is the thick, lobed, and often glossy leaves. 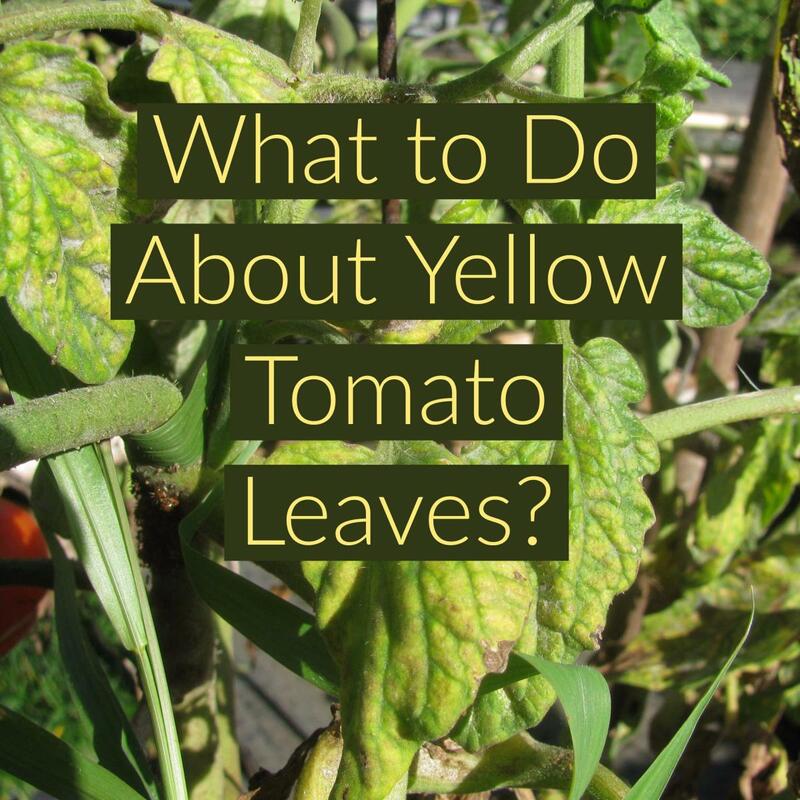 These are usually medium to dark green in colour and have light green, yellow, or white veins. There are three to five lobes on each leaf. The leaves sometimes have an attractive variegated appearance consisting of two or more colours. The colours include dark green, light green, yellow, white, and red. English ivy can be found in a cultivated form as well as a wild one. The cultivated version of variegated ivy is a popular addition to plant containers and landscaped areas. English ivy stems with lobed leaves are actually the juvenile form of the plant. The adult flowering stems have oval leaves instead. Ivy has yellow-green flowers that are borne in clusters. The flowers are generally produced in the fall in the part of North America where I live. They produce blue-black berries that don't ripen until late winter or early spring. How Does Ivy Attach to Surfaces? English ivy is a climbing, trailing, and creeping vine. It develops long stems that become thick and very strong as they mature. The plant can climb as high as ninety feet if it has a good support. An ivy plant has two types of roots. The subterranean roots extend into the soil, attaching the plant to the ground and absorbing water and nutrients from the soil. Clumps of adventitious or aerial roots are located at intervals along the climbing stems. The function of these roots (or rootlets, as they are sometimes called) is to attach the plant to a surface as it climbs. Until quite recently it was thought that the only factor joining the adventitious roots to the support was a glue produced by the roots. New research indicates that the glue is not the only factor involved. A root actually changes shape to anchor the plant. It also produces root hairs that fit into crevices in the support. Ivy may or may not damage walls. The topic is a controversial one. Some people say that the plant is destructive, causing walls to crumble as it clings to them. Others say that the plant actually protects walls. Ivy is often said to cause walls to break down as it sends its roots into crevices. However, some researchers say that instead of causing crumbling, the plant often attaches to sections of walls that are already starting to crumble and have many crevices that the roots can enter. Supporters of the plant say that ivy growing on the outside of a building helps a wall by providing thermal insulation, keeping it cooler in summer and warmer in winter. Some people claim that the plant traps water next to the wall, increasing structural damage, while others say that the waxy covering on ivy leaves repels water from the wall instead. The English Heritage organization has studied the effect of English ivy on walls. In 2010, they published the results of an investigation. They say that the plant can protect walls from heat, cold, humidity, and pollution. They also say that the rootlets cause no or very minor damage to walls. If there is existing damage to a wall before the ivy grows, however, the rootlets may penetrate the cracks and cause further harm. It can certainly be difficult to remove ivy from a wall once it's attached, since it clings to the wall very tightly. Bits of plaster may be removed with the ivy and pieces of root and ugly marks may be left behind. English ivy can spread rapidly and aggressively. It can be troublesome if its growth isn't controlled. In some parts of North America it grows all year. 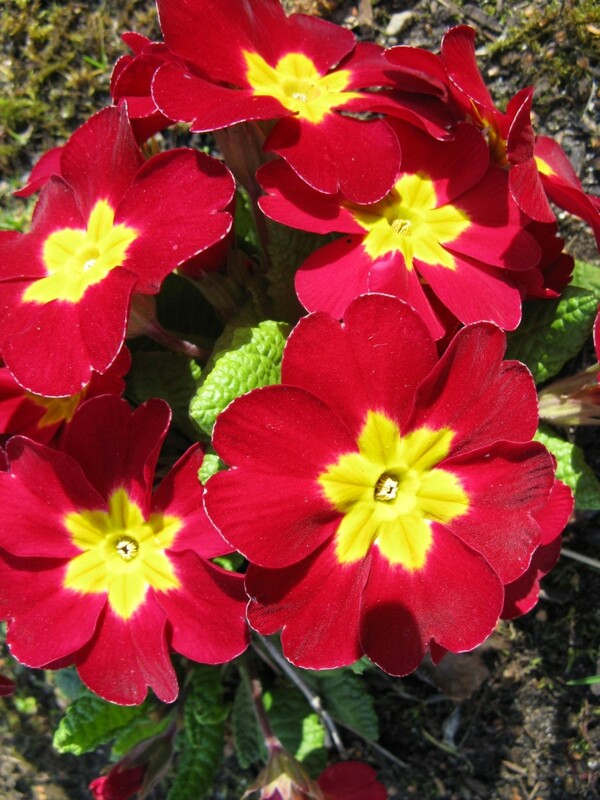 It thrives in shade but also grows in sunny areas. The plant tolerates a wide variety of soils. Sometimes ivy is accused unfairly of crimes. For example, it doesn't damage tree trunks directly. It attaches to them with its adventitious roots, but these don't penetrate the trunk or absorb nutrients from the tree. If there is a very dense growth of ivy it may damage trees indirectly. The ivy's weight may injure the tree. In addition, a sheet of ivy may act like a sail and make the tree more susceptible to damage caused by windstorms. The ivy may block light that the tree and other plants need for photosynthesis. Photosynthesis is the process in which plants use light energy to produce their food. English ivy is also said to trap water that increases the chance of plant disease, although as in the case of ivy growing on walls not everyone agrees with this idea. In the wild, the creeping form of ivy can prevent light from reaching seedlings, causing them to die. The plant may also smother wild flowers and ferns. Some people appreciate ivy as a ground cover in their garden, however. Research suggests that the plant can absorb particles that are polluting the air. English Heritage is one organization that has found evidence supporting this idea. They examined ivy growing beside very busy roads and discovered that it removed fine particles from the surrounding air. The organization says that they would like to do more research in order to determine whether their discovery is applicable to other areas. English ivy has at least some benefits for the environment. It can be very helpful for wildlife in its native habitat. 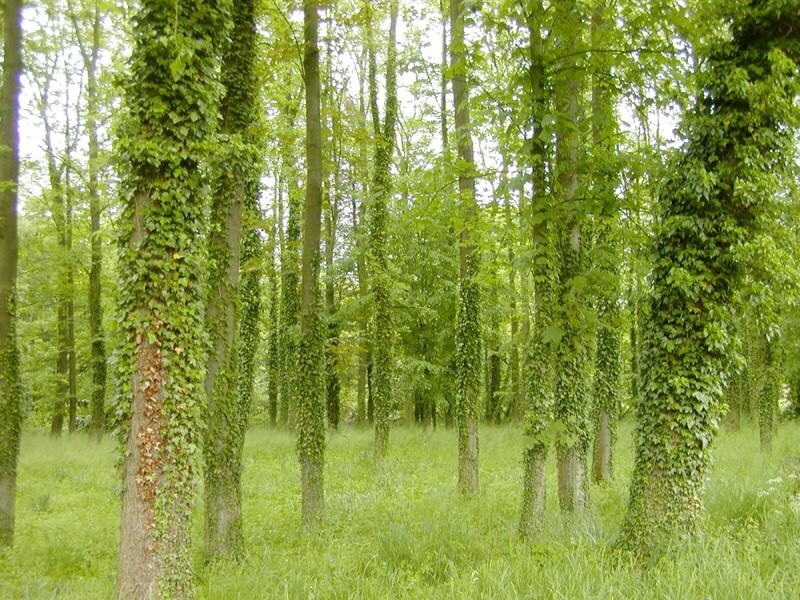 In Europe, the ivy on tree trunks provides a hiding place for a range of small mammals and a nesting site for birds. Unfortunately, in North America the "small mammals" that shelter in ivy seem to be mainly rats, especially the Norway rat, which is a pest. 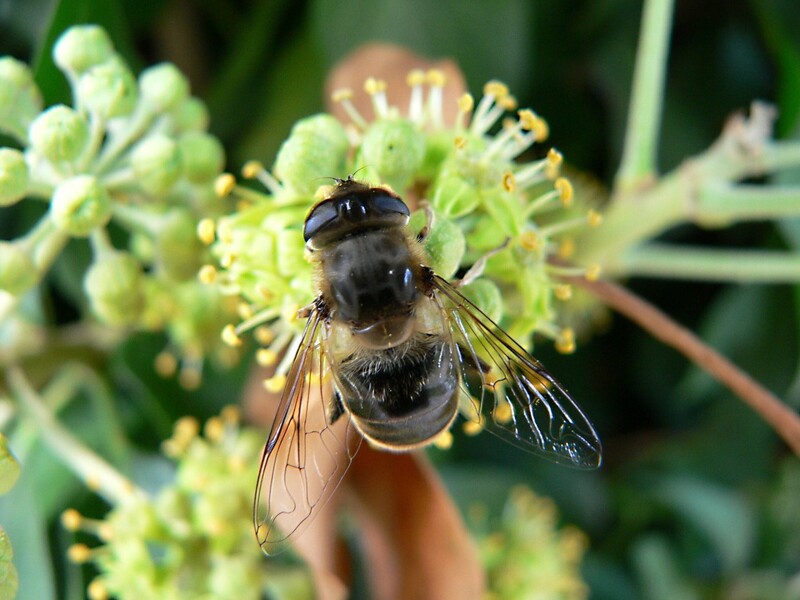 The nectar inside the flowers of English ivy is a food source for bees and butterflies in both Europe and North America. Some North American birds eat the berries. Far more European bird species feed on the berries, however. The war against unwanted English ivy can be won with effort and persistence. The task involves cutting the plant at frequent intervals (or all at once if the growth is small) and then digging out the roots. Protective gloves and clothing are useful, especially if a person develops dermatitis after touching the plant. Pruning shears, loppers, or a saw are needed to cut the stems, depending on their thickness. Experts often say that when trying to remove a large ivy vine, cuts should be made at shoulder height and at ankle height. This may enable the vine to be unravelled from a tree trunk. However, some people recommend that the upper portion of the vine be left to die naturally and crumble (as it will do, since it no longer has a water supply) because pulling it down may damage the tree. Experts also say that a wide zone around the base of the tree trunk should be cleared of ivy to prevent or delay a new invasion. Once the ground is clear it should be covered with mulch. A gardener will likely need to return to an ivy patch periodically to do more cutting, but the process usually becomes easier as the plant thins out. As soon as the soil can be reached, digging is necessary to remove the roots. 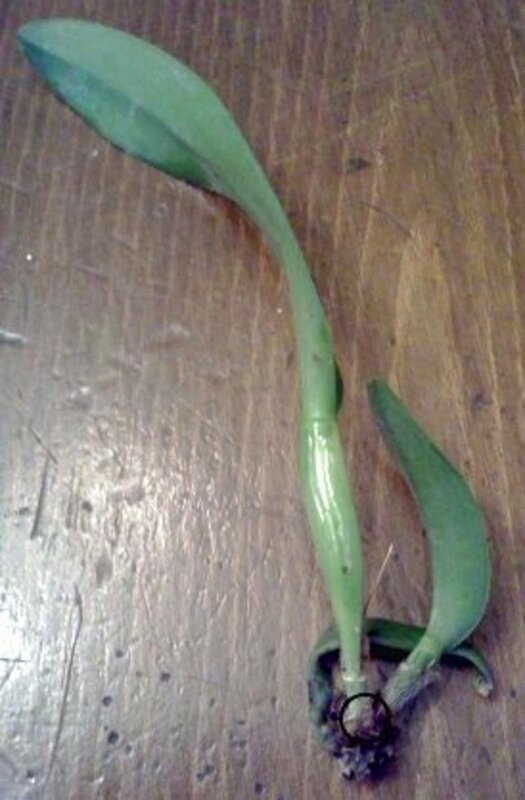 It's important to realize that the plant can regrow from a piece of root or stem. Once all of the ivy seems to have been removed, the area should be checked periodically to ensure that new plants aren't growing. Ivy is much easier to deal with when its stems are thin and relatively weak than when they are thick and strong. Intact parts of the English ivy plant should never be eaten. The plant is generally considered to be only mildly poisonous, but the dangers of plant ingestion increase with the amount that is eaten. Ingestion of berries or leaf material in small quantities may cause no symptoms or only minor gastrointestinal upset. 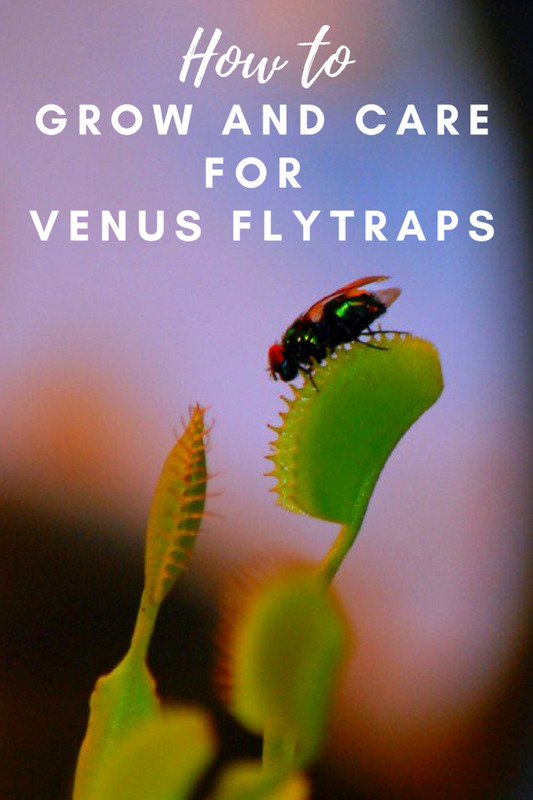 Ingesting large amounts of the plant can cause breathing difficulties, muscle weakness, coordination problems, fever, hallucinations, and even coma. A standardized extract made from the English ivy plant is generally safe, depending on how the extract is made. It may even be useful medicinally. A "standardized" extract is one with a known concentration of the active substance. This concentration is chosen for both effectiveness and safety. It's advisable to wear protective gloves when handling English ivy. The plant contains a substance called falcarinol that can cause dermatitis as well as blisters when people handle it. Dermatitis is a condition in which the skin becomes inflamed, red, and itchy. Both irritant contact dermatitis and allergic contact dermatitis can be caused by ivy contact. In irritant contact dermatitis, the skin is damaged by touching a substance. People with allergic contact dermatitis experience an allergic response after coming into contact with a substance that acts as an allergen. Interestingly, not everyone develops dermatitis after touching ivy. In Europe, English ivy extracts are used as an expectorant. An expectorant is a substance that relieves coughs by thinning mucus, enabling it to be coughed up easily. Ivy extract is approved for use by the German Commission E. This organization is a scientific advisory group that examines the safety and effectiveness of traditional herbal remedies. There is a some evidence that English Ivy extracts help the coughs that develop in certain health conditions, but the extracts seem to work no better than other expectorants. Medicines containing guaifenesin are often used as equivalent expectorants in North America. English ivy may have other health benefits for humans in addition to acting as an expectorant. Like other plants, ivy contains many different chemicals in a wide range of concentrations. Some of these chemicals may be helpful for us. Although the plant isn't currently used for either of the following applications, it may be in the future. Falcarinol is found in carrots as well as English ivy. In carrots it acts as a natural pesticide that fights fungi. In one experiment, mice were fed freeze dried carrots containing falcarinol, corn starch to which an equivalent amount of falcarinol had been added, or corn starch on its own. All of the mice in the experiment were given a chemical that causes colon cancer. After the experimental treatments were finished, the researchers examined lesions (damaged areas) in the animal's colons that typically enlarge and become tumours. The lesions in the mice that received falcarinol were significantly smaller than those in the mice that weren't given falcarinol. The researchers concluded that the falcarinol had delayed or slowed the development of cancer. The mouse research is very interesting, but the discovery doesn't necessarily mean that falcarinol will have the same effect in humans. More research is needed. The adhesive secreted by the root hairs of English ivy contain tiny nanoparticles that have been found to block dangerous ultraviolet radiation. They may be able to act as a safe human sunscreen. Nanoparticles of titanium dioxide and zinc oxide are already used in sunscreens. There is some concern that the nanoparticles of these chemicals can travel through our skin and into our body, however, where they may have harmful effects. English ivy nanoparticles may be safer, although this hasn't been proven yet. English ivy is a beautiful plant. However, it's potentially harmful to the environment. Growing it deliberately requires caution. 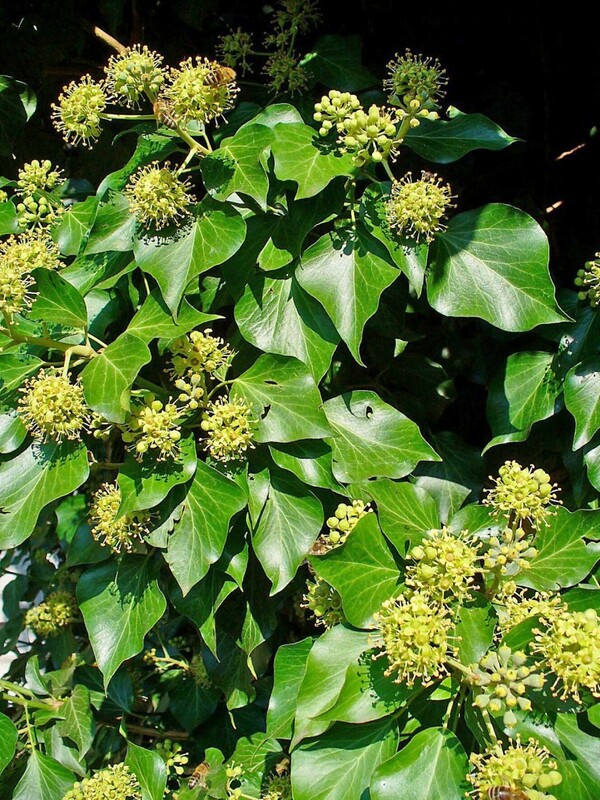 Landscapers and gardeners may love ivy, but its ability to grow invasively, hide pests, and interfere with the growth of other plants needs to be taken seriously. A dense growth of ivy can affect not only the ivy grower's garden but also their neighborhood. The history of English ivy in North America is a sad one, as it is for many introduced plants. Ivy is often referred to as a "noxious weed" instead of a valued part of its ecosystem. Some people may think that importing a plant from another part of the world either deliberately or accidentally is unimportant, but there may be serious consequences. Without the natural checks and balances that often develop during their long occupation in their native habitat, introduced plants may become invasive and damage their surroundings. Our English ivy, established in a large area of the yard (on the ground) for many years, has for the first time lost most of its leaves in late winter/early spring. New growth usually sprouts here in late May, but it is looking pretty bad. Has there been a sudden ivy disease? We live in southeastern Pennsylvania. As far as I know, there isn’t currently an outbreak of an English ivy disease in southeastern Pennsylvania. It sounds like something is seriously wrong with your plant, though. My answer to a previous question about dying ivy might be helpful for you. A local agricultural organization or college or a plant nursery or garden store in your area might be able to give you more specific help with respect to your situation. The Pennsylvania Horticultural Society (phsonline.org) might be able to give you information and help, too. This is a 2 part question: All my ivy which is on the ground and has been established for over 40 years has died. My pachysandra and aucubas also are doing very poorly. What are the possibilities? Secondly, will it grow back? I’m sorry that you have a significant problem in your garden. The fact that there has been such a drastic change in three different species of plants suggests an environmental change of some kind. Four possibilities include contamination or alteration of the soil in some way (such as by the addition of a chemical contaminant or too much water), infection by parasites, attack by pests, or more than one of these problems. Soil problems can sometimes stimulate parasite growth. As far as English ivy is concerned, I know of four situations involving parasites that can cause serious problems. A fungus called Rhizoctonia Solani causes root rot. The fungus can affect many other types of plants besides English ivy. Bacterial leaf spot is caused by bacteria in the genus Xanthomonas. Anthracnose is a disease caused by various kinds of fungi. 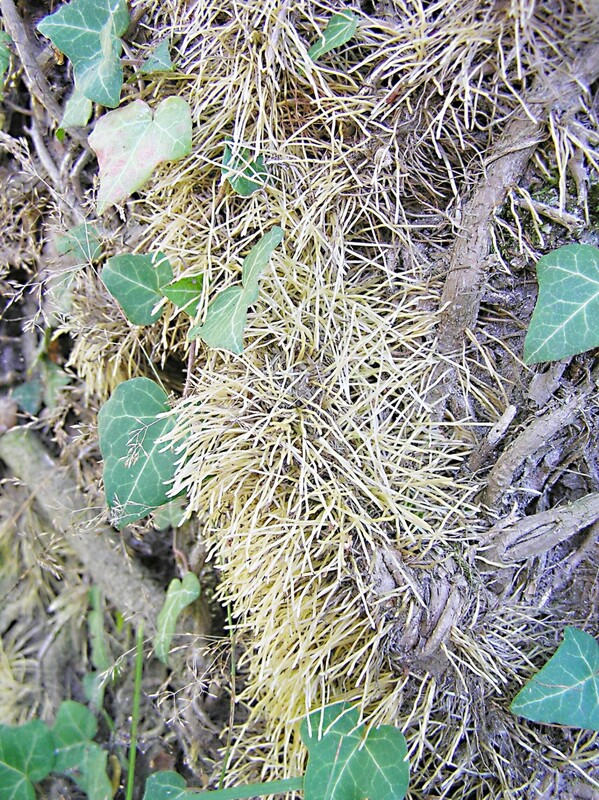 Phytophthora is a water mold that can infect ivy. A garden expert would need to examine your plants or soil in person (and perhaps in the lab) to identify the specific problem in your garden. I don’t know whether the plants will be able to grow back after such severe damage. I received my ivy in an arrangement with other plants about two months ago. The leaves began falling off, and felt really dry. I put the plant in a larger pot but the leaves are still dry. I water it once a week. What am I doing wrong? I've never grown English ivy indoors, but it seems to me that watering the plant once a week wouldn't be adequate except in a humid environment. While ivy doesn't like soggy soil, it doesn't like very dry soil either. Whenever the soil is dry to a depth of around half an inch, you could try lightly watering the plant. You could also try lightly misting the leaves on a regular basis. What am I doing wrong in trying to root English ivy? It doesn't matter if I try to root it in water or a really good seed starter mix. It just dies. Powdered or liquid rooting hormone can be very useful in encouraging an English ivy stem to produce roots. I suggest that you look for some at your local garden centre and read the instructions on the container carefully. 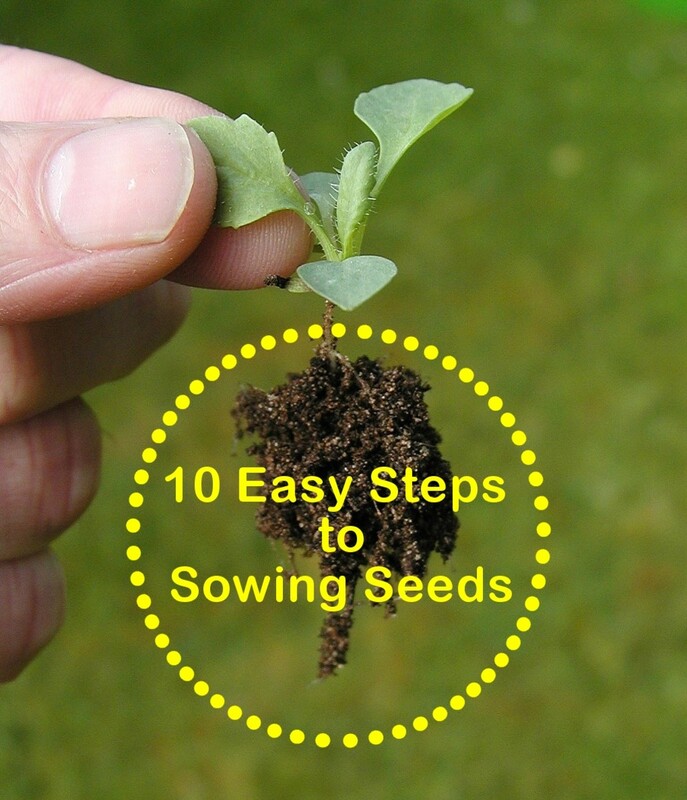 It’s also helpful to obtain a cutting from a plant that is in the act of growing. Spring or summer are the best times for obtaining the cuttings. I read in an old apothecary book from the late 1930s that after ingestion of three to four berries one would experience a sensation similar to drunkenness. Is this completely unfounded? I prefer to research before even thinking of attempting to ingest them, but I have found very little to no information whatsoever regarding this matter. English ivy berries are poisonous. They should never be eaten. The sensation similar to drunkenness that you mention (if it occurs) is very likely a collection of symptoms resulting from the poisoning. No one should experiment with the berries to discover their effects, which may include the ones mentioned in my article. The results of experimentation could be dangerous. I planted an ivy in my garden (on a south facing wall) about two months ago. It has doubled in size but it is not sticking to the brick wall and it’s not growing the aerial roots. Could this be a different type of ivy? I bought it at my garden centre. It was labelled as English ivy under the climbers section and does look like any other climber ivy. I am considering getting rid of it as I really want a climber there! I can't say for certain without looking at the plant, but it certainly doesn't sound like English ivy. All of the English ivy that I've encountered, including my own, clings tenaciously to vertical surfaces with its aerial roots. I've read that somewhat similar plants are sometimes called English ivy in stores and garden centres when they are actually a different plant. Perhaps that's what happened in your case. 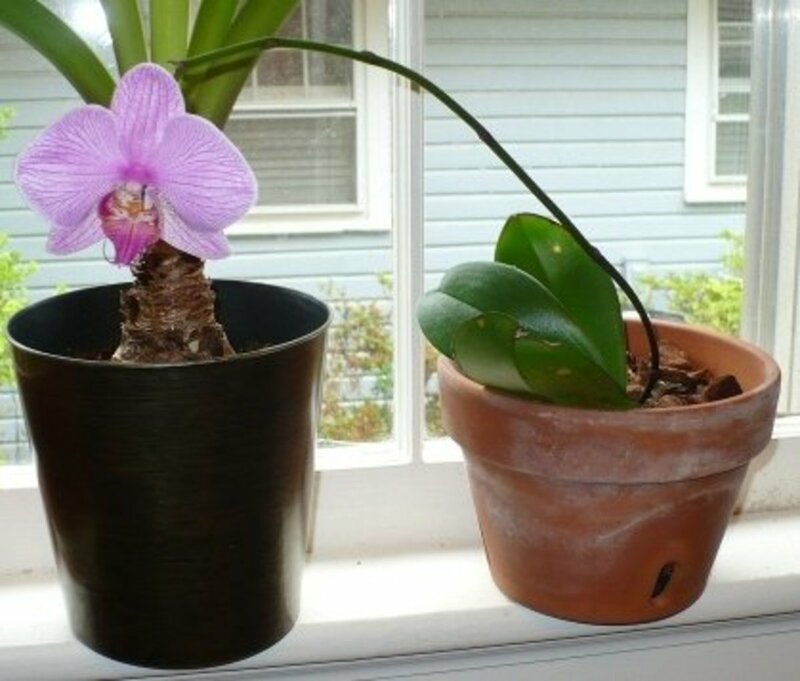 Before you get rid of the plant, though, you should probably check with a garden centre or a local plant expert to see if there is anything you can do to encourage the plant's vertical growth and adhesion abilities. Can English ivy grow subterranean roots without using rooting hormone and plant the cutting as described in this article? Yes, a cutting can produce roots without the use of rooting hormone, although the hormone increases the chance of success. English ivy seems to take as many chances as it can to spread to new areas. I bought a variegated ivy from a garden center in the climber's section but it won’t cling to the wall despite making strong growth. Any ideas as to why? All the English ivy that I’ve had experience with has always climbed well. The majority of English ivy varieties and their close relatives climb vigorously and attach to vertical surfaces with rootlets. A few varieties need to be twined around a wire fence or trellis in order to grow vertically, though. You could try doing this. It would also be a good idea to go to the garden centre to find out exactly what variety of ivy you have (if you don’t already know) and discuss its inability to climb with them. After removing ivy from my cement foundation, I am left with trails of whatever substance keeps it attached. I would like to paint my foundation. How can I remove the "stuff" that is stuck to the cement? I have never tried getting ivy remains off of cement. The best that I can do is to share tips that I’ve read. I don't know how effective they are or how safe they are for surfaces. If you try them, I suggest that you work on a small area of cement that's not in the main field of view first of all to see if the cleaning causes any damage. I also suggest that you be careful with the cleaning solutions. The suggestions that I’ve read include scrubbing the area with a dry brush that has stiff bristles, dipping the brush into diluted dish detergent before using it, dipping into diluted dish detergent plus borax before using it, and dipping it into diluted bleach before using it. When did the English ivy come to North America? According to the Smithsonian Institution, English ivy was introduced to North America in the early 1700s by European colonists. The colonists appreciated the plant’s ability to create an evergreen cover over the ground and used it as an ornamental plant. Will my outdoor ivy grow back after all the leaves were eaten by wildlife? English ivy has the great ability to regenerate. Although it's not certain that it will grow back after severe damage, it's very likely that new shoots will grow and produce replacement leaves. I have been successful and pleased with my English ivy, but recently I have had a competing plant/vine growing within the ivy. The plant has a long thin purple flower and seems to be taking over the ivy. Any idea what it is? What are some ways to eradicate it? I spent hours trying to weed/pull it out. There are multiple vines with purple flowers, so I don't know the identity of yours. My first suspicion when I read your question was that it was a morning glory, which comes in varieties with purple flowers. The flowers have a tubular base and a flared tip. I don't know whether this is actually the vine in your ivy, though. As far as removing the vine goes, I know from experience that pulling out a plant tangled with another one can be time consuming. This is especially true for members of the morning glory family because of their winding stems. I think that’s the safest plan for your English ivy, though. I don’t know of any herbicide that will kill the competing vine (whatever species it is) without hurting the ivy. Will groundhogs eat English ivy? Could ivy ever be a food source? No. English ivy is poisonous, as I mentioned in the article. No part of the plant can be safely eaten. It definitely can't be used as food now or in the forseeable future. I use English ivy for ground cover. 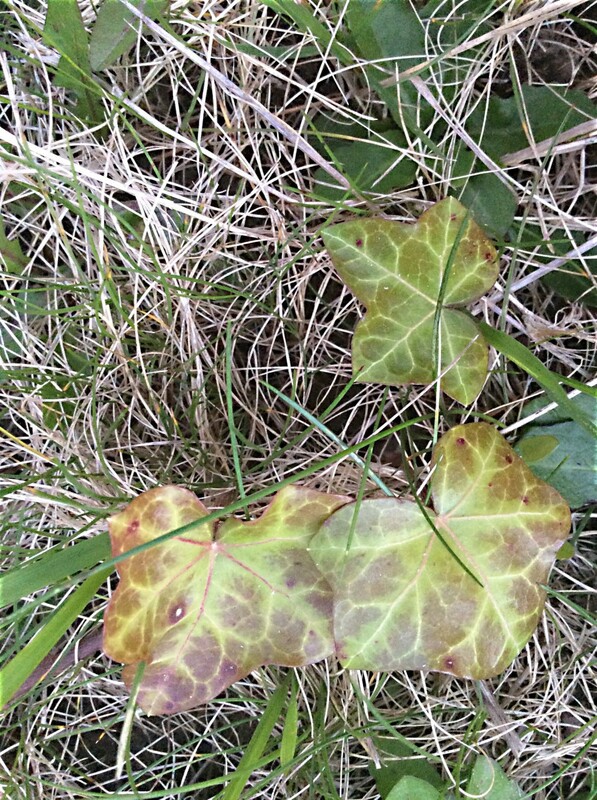 Weeds (long vine type) are intermixing and overtaking the ivy. Is there a weed killer I can use that won't kill the ivy? I remove weeds by pulling them instead of using chemicals, so I don't have much experience with weed killers. I don't know of a weed killer that would be absolutely safe for your ivy. Perhaps a garden store or a horticulturist would know of one. A 30-foot ivy vine broke and became detached from the tree. Is there any way to save the vine? I stretched it out along the fence with the small roots on the ground. Saving the vine might be possible. The vine needs to form new subterranean roots that extend into the soil to survive, however. 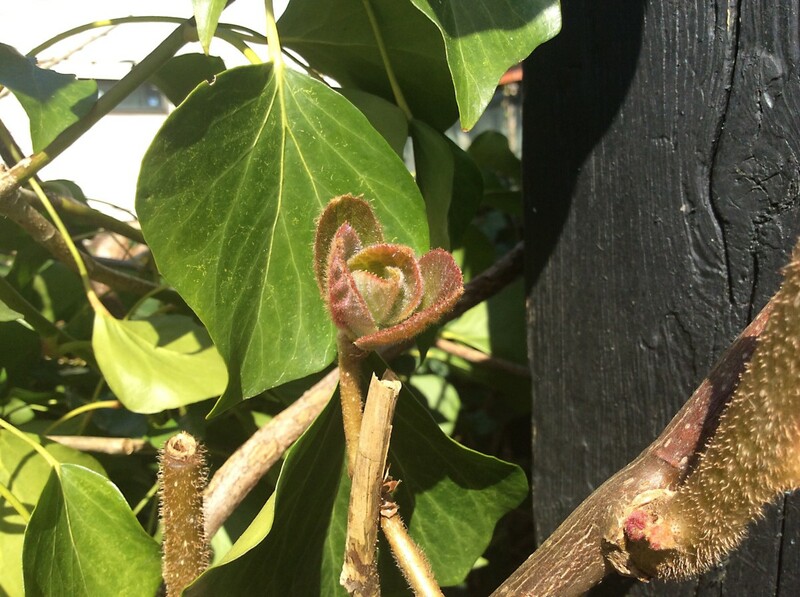 It’s quite easy to stimulate an ivy cutting to produce new roots with the aid of rooting hormone, which can be bought in garden supply stores. The English ivy in my garden started from cuttings treated with a specific rooting hormone as part of a university project. The instructions for obtaining suitable cuttings from a vine and using rooting hormone might be present on the product package, and can also be found on various websites. What fertilizer should I use for common ivy? I have English ivy (or common ivy) in my garden. I’ve never fertilized the soil around the plant because it grows very well without the addition of chemicals. I’ve read that the plant often needs very little or no fertilizer, assuming it’s growing in soil containing organic matter. If fertilizer is required, garden experts recommend that it includes a balanced ratio of chemicals. Specific number sequences show the amount of nitrogen, phosphorus, and potassium in a bag of fertilizer. For example; a 15-15-15 bag contains 15% nitrogen, 15% phosphorus, and 15% potassium. This is a ratio that is often recommended for English ivy, though I have no experience in using it myself. It’s important to follow the instructions on the fertilizer bag carefully, and to avoid sprinkling the fertilizer on the leaves of the plant. 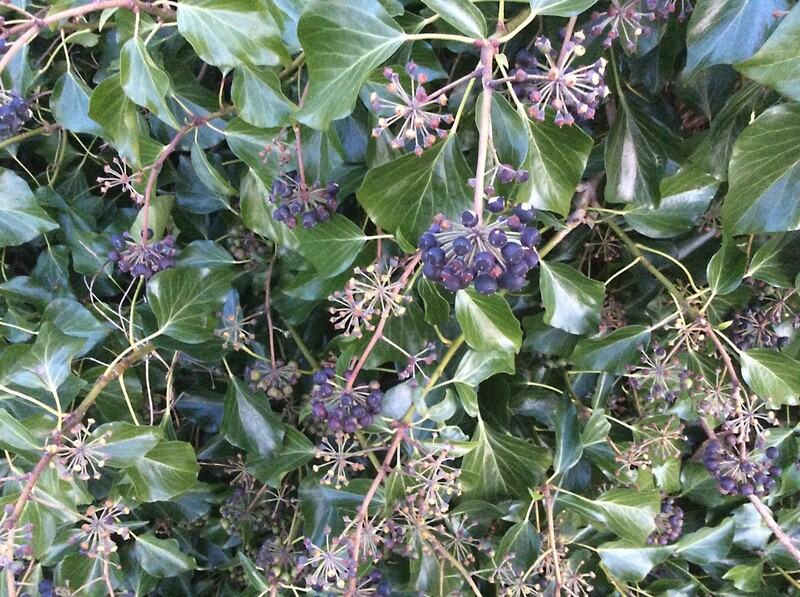 Will English ivy live near an ocean beach? English ivy is said to be moderately salt tolerant, so it would probably grow near a beach. It does best in soil that is rich in organic matter and in an area with at least partial shade, though it can tolerate sun. It would be best to plant it in a place that is protected from the wind, so it doesn’t dry out. Is English ivy poisonous to cattle? Some evidence suggests that English ivy is poisonous to cattle, at least when it’s eaten in large quantities. There seems to be some debate about the degree of toxicity, however. The most extreme statement that I’ve found is on an Ohio State University website: https://u.osu.edu/sheep/2010/06/23/common-poisonou... The website is primarily about sheep, but it lists some serious effects of English ivy for "all species of livestock." It seems safest to remove any ivy that grows in a cow’s habitat. I would make sure that I did this if I owned cows. After having pulled ivy off of the exterior walls of our home, I’m noticing that the ivy is beginning to follow the same marks left behind by what I had pulled off. Will the ivy continue to follow these marks exactly? I don’t know whether the new ivy growth will follow the exact path of the old growth, but it’s possible. The details of how English ivy attaches to its substrate aren’t fully understood. It is known that the plant produces an adhesive to attach to a surface and that it follows a suitable path for growth, which is generally one with crevices. 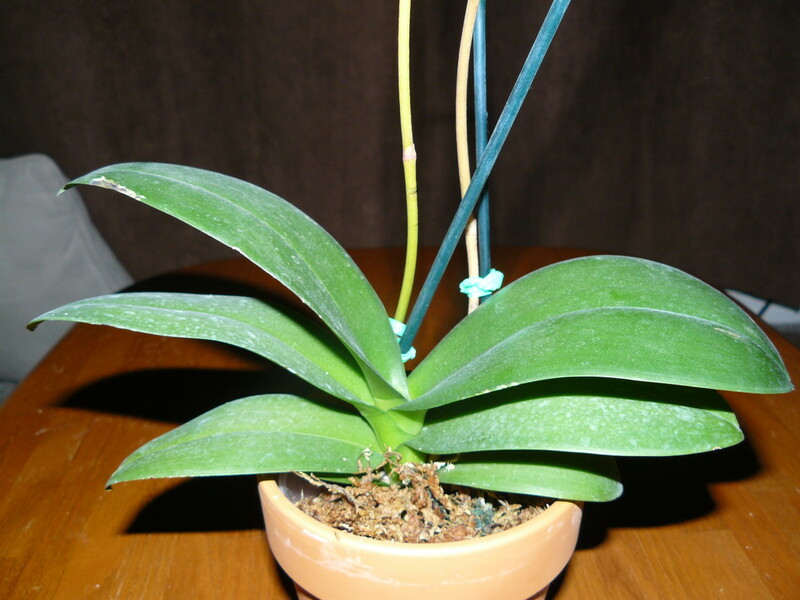 It may change the environment around the aerial roots, or rootlets, to produce a firm attachment. The new growth may follow the path of the old because that’s the best route for attachment. The leaves of my English ivy are very dry and crispy. I read that this is because the plant is dehydrated so I watered it more. Do you think it will grow again or does this mean that its roots are dead and that it has no way of growing again? Your ivy sounds like it’s in bad shape. You could take it to a plant expert or garden centre in your area to ask their advice (or take a photo of the plant if it can’t be transported). They may ask you questions that might give them a clue about what the problem is and help them decide whether the plant can be saved. I have ivy in a couple of different areas, totaling a couple of hundred square feet. It started with one small branch about six inches long ten years ago and is now a luxurious part of our garden. I have started it in several areas, and I absolutely love it. My question is, after ten years, why has it never flowered? English ivy produces adult leaves and flowers only when it grows vertically. Horizontal growth is vegetative and produces juvenile leaves. Juvenile leaves are also produced when the plant grows vertically, but at some point in its vertical life, it also produces adult leaves and flowers. According to reports that I’ve read from seemingly reliable sources, it may take ten years or more for the vine to flower, at least in the Pacific Northwest region of North America where I live. That sounds about right with regards to my ivy. 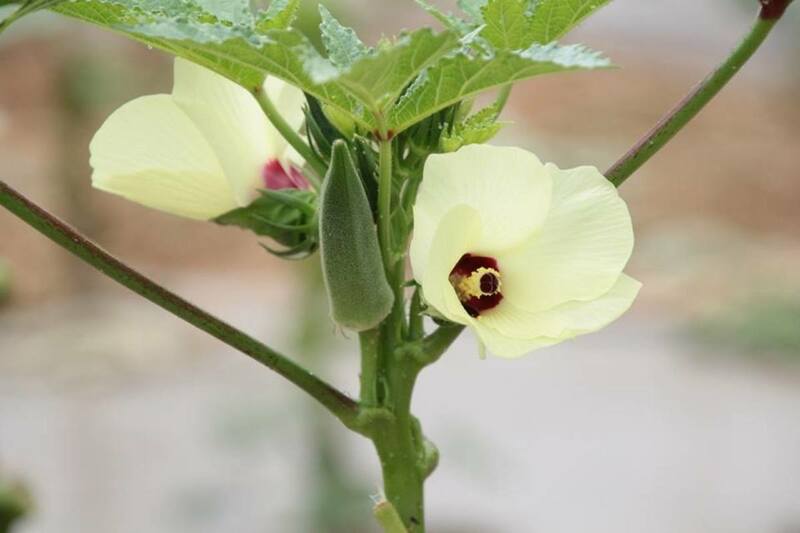 It didn’t produce adult leaves or flowers for a long time, even when it was growing vertically, but now it flowers and produces fruit every year. Can too much rain cause English Ivy to die? Is English ivy evergreen even in cold climates? Yes, everywhere that English ivy grows in North America (USDA Zones 5 to 9), the plant is evergreen. It’s also evergreen in Europe and Asia. Some people confuse Boston ivy (Parthenocissus tricuspidata) with English ivy. Boston ivy is also a climbing vine, but it’s a deciduous plant. Its leaves turn a beautiful red color in the autumn before they fall to the ground. Thanks for sharing your experience and the warning. English ivy certainly needs to be controlled. Here in Canada I’ve had the plant in my garden for many years and keep it under control by trimming it regularly. Ivy doesn’t overrule the local wild plants in my area, either. That being said, I have seen photos of wild ivy in North America that has smothered everything in its path, like you describe. Perhaps the situation depends on the local environment and the variety of English ivy that’s growing. I’m sorry the plant is such a problem where you live. I’m glad you avoided the tree! Your comment is definitely food for thought. I grow English ivy outdoors, but I’ve never grown it indoors. From what I’ve seen, I think it’s very attractive as it trails out of containers. It’s easier to control inside homes compared to outside and can be encouraged to climb over a trellis. It may need pruning as guidance, though. I would be very careful about what I allowed it to climb over indoors in case it causes damage. Personally, I wouldn't try to deliberately guide it over another plant, even though the ivy won't attach to it. If you try this, you should observe the plant underneath regularly and carefully to see how it does. Good luck. I have English ivy as a house plant and I'm hoping it'll climb the walls :) If it interacts with other house plants will they suffer at all? At this moment I'm thinking primarily of my philodendron that is growing around the kitchen, as neither will go outside in the summers because moving their long branches would probably stress them out, so they both have a permanent place to settle in. Can I drape the ivy branches over the established philodendron without harming it? Will the ivy grab on like it does to trees and walls? They're both in separate pots so nutrient are not a concern. I'm assuming it's fine as long as they both have access to sunlight? Hi, Seyit. The aerial attachment roots and the subterranean roots have different structures and abilities. They are each specialized for their particular jobs. One type doesn’t turn into the other. It wasn't in the article, I wonder when you cut a branch that has climbing-holding roots but not subterranean roots, do the climbing roots transform into subterranean roots if they placed under soil? Always, sometimes or never? I have cut several branches that have roots and that don't and planted them in pots and waiting the result. If climbing roots turn into subterranean roots, next time I will put extra care for that kind of cuttings rather than the cuttings that have neither kind of roots? Thank you very much, Nicole. I love English ivy, but I must admit that its growth can be a problem! I love the look of English ivy, and have thought often of growing it in my Florida garden. But I'm not sure how well it would do, plus it would probably take over and I don't want to be responsible for another invasive species in Florida. Great and informative article on this amazing plant! Thanks for the comment. It's interesting and frustrating that ivy can be both beneficial and annoying! It certainly needs to be managed well. Good luck with your business. You are so good trying to see more than one perspective on this plant. All I can see is that it's killing environmentally valuable trees that I love. I am no ivy fan. Usages for it's remains would be most helpful, as I am trying to grow a tiny ECObiz removing invasive plants. Thanks for any/all help & wise advice. Greetings from NC where everything grows & grows & grows! I love birds, too. Sad, I heard ivy is even making some goats sick. Too much or something. Birds carry the seeds/are spreading the plant. Another concern. Only as a controlled groundcovers, I would speculate. Never as an out-of-control fruiting arboreal branching invasive shrub. Hi, Isabella. The climate and environment is suitable for English Ivy in many areas, which enables it to survive outside of its native habitat. It seems to do very well as an introduced plant. It's very successful where I live. why is English Ivy successful outside of its native habitat? Hi, Natalie. I find your comment very puzzling because it doesn't make sense in relation to the article. I'm glad that you're recovering from colon cancer. At no point in the article do I say that ivy can treat human cancer, however. What I do say is that in one experiment with animals, a specific chemical found in ivy had benefits when it was eaten. The chemical reduced the size of colon lesions that typically become cancerous at some point in time (but were not yet cancerous). I also state that more research is needed to determine whether the chemical has the same effect in humans and that the chemical is not currently used as a medicine in relation to cancer. In addition, since I mention that some people find English ivy annoying and discuss the fact that the plant spreads rapidly and can be invasive, you are agreeing with me in your first sentence. Please read articles carefully before you make comments such as the one that you posted. Well I have Ivy on the front of my house from next door and it's very annoying. I am also someone recovering from colon cancer i was very young to get it and was actually in the 5% statistics..... So considering all this is would say that the article is very misleading and evidently untrue. Thanks so much for the lovely comment and for the vote and share, Jo! Ivy can certainly be annoying when it spreads. I think it can be attractive as well, though! Alicia, great informative hub. Our previous home was a cottage practically covered in ivy, quite a job yanking the strands to stop it climbing into the guttering and on to roof. However, I do like the red ivy. You've done a sterling job of explaining the pros and cons of this plant. Voting Up +++ and sharing. Thank you very much for the kind comment, the vote and the share, Alun! I appreciate your visit. I grew up in Britain, so I call the plant ivy, too. In Canada I need to use the more specific name when talking to people, though! This sounds like a great use for English ivy, Rolly! Thanks for the interesting comment. Thanks, Deb. I appreciate your comment. Great information that I never knew about. Thanks so much for filling in so many of the details that I didn't know. 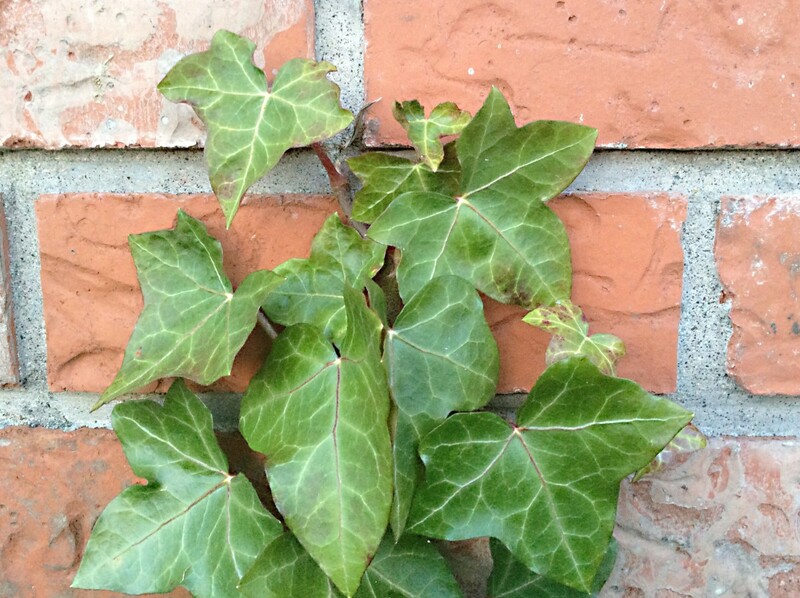 It is frustrating that the experts can't give us a definite answer about whether or not ivy damages walls. Some researchers say that the most important factor in determining the outcome of ivy growing on walls is the initial state of the wall. They say that if cracks are already present, ivy may cause further damage to the wall, whereas if the wall is in good condition the ivy is unlikely to cause any problems. There may be other factors controlling the outcome of the ivy growth, though. Determining these factors is actually a harder job than it seems. Ivy is a complex plant! You would think that in this time in history we would know more about ivy's affect on walls. That was what I was trying to find out when I read the article, otherwise I already knew the rest. It doesn't seem like it would take some long term intricate test just that. Thank you very much, Dianna! I appreciate your visit and comment. We had ivy covering our brick home in the midwest. It gave the home a nostaligic look. This is such an interesting topic and you wrote it with excellence. Thank you for the comment, vespawoolf. I like the look of English ivy, too. Not all of the health benefits of ivy are definite yet, but they are all interesting! I love the look of English ivy, but I did know that it can damage surfaces and choke out other plants. I didn't know it had medicinal uses until reading this information. I do develop a slight rash if I handle ivy too much. This was enjoyable and well-written. Thank you! Thank you very much for the visit and the comment, Flourish. Ivy does seem to have the ability to grow almost everywhere! It's a very successful plant. I learned so many things reading this. I didn't know rats mainly sought cover in ivy or about the health benefits or toxic effects. I certainly have experienced its rapid takeover of land, however. It grows anywhere and everywhere. Thanks for the comment and the vote, Eddy. I hope you have a great day, too! Very interesting Alicia and your obvious hard work certainly paid off here. Here's wishing you a great day and voting up for sure. Thanks for the comment, Crafty. I appreciate your visit! I've always loved ivy plants. I think it's so pretty growing up the side of buildings. This is a very well thought out and informative Hub. Wow! Very informative. I never knew any of this and it is certainly interesting! Hi, VioletteRose. Thank you very much for the comment! It's interesting that ivy may either be safe for walls or may damage them. Great hub, you have shared so much of information about the plant here. English Ivy looks really great, its sad that they are invasive and may cause damage to the walls. Thanks for the comment, TotalHealth. I appreciate it. I don't know of a suitable book to read about Ivy's potential health benefits. There is information on the Internet. As is the case with lots of health information on the web, though, many people list benefits for the plant uncritically without looking at the evidence. Interesting hub! Although I like the look of English ivy on structures, walls, and trees I would not, however, want to maintenance this growth or respond to the possible damage it can cause, as you highlighted so appropriately. Also, thanks for pointing the health advantages associated with this plant. Is there a book you recommend I purchase to learn more about these benefits? Thank you very much, Vellur! I appreciate your comment and vote. Great information about the English Ivy. It is a beautiful plant but it's rapid growth makes it a real problem. Great hub, voted up. Hi, truthfornow. Thanks for the visit. I think that ivy is pretty, too. Some people are sensitive to it, so it is a good idea to be cautious. I think ivy is very pretty but it does tend to take over. I had no idea it could irritate the skin - that is good info for me to know as I have very sensitive skin. Hi, Imogen. Yes, ivy can be useful, especially in its native habitat. I think that ivy growing on a fence or a wall looks lovely. Thanks for the visit! Very interesting, I have quite a lot of wild ivy in my garden growing up fences and walls, and it does have to be controlled to some extent as it can take over. However I really like the look of it and it is great for birds that like to nest in it and eat the berries. Thank you very much for the comment and the vote, WiccanSage. Chain link fences are useful, but they're certainly ugly! There is one around my garden to keep my dogs safe. My family has used cedar to disguise the fence, but ivy would have worked, too. Like you, I think that English ivy is a lovely plant (as long as its growth is controlled), but not everyone agrees with us! Wonderful hub. Ivy is one of those plants I've never bothered to use medicinally, but I tell you-- I had a house once with a large expanse of ugly chain link fence at one end, and it was a pretty barren area. Planting Ivy at the base did the trick-- within a few years I had essentially a gorgeous. leafy living wall that gave me more privacy and a much better view. Love the hub, voted up. Thank you very much, Devika! Ivy does have an interesting appearance. I think it's a lovely plant, too, despite the problems that it can cause. The facts about English Ivy enlightened me more. The lovely plant has a very interesting appearance and character. Hi, Faith. English ivy sometimes seems to have a mind of its own! It certainly has interesting growth habits. Thanks for the comment and for sharing the information about your ivy. I appreciate your votes and the share very much, too. Blessings to you as well, Faith. We have English Ivy growing along the brick walls of one side of our driveway leading up to the walkway to our front door. It is very beautiful but we do have to keep it cut down as it does take over. I have a black cement container for container gardening on both sides of the driveway near my house, and the Ivey that is growing on one side has grown up the wall and attached itself to the container. I did not know all of this interesting information as to its dangers too. Plus the cancer information is most fascinating. Excellent job as always. Up and more and sharing. Thank you very much for the visit, alison. Thanks for sharing the interesting story, too! Poor robins - especially the one that fell in the trash! Thanks for the comment, Bill. Ivy does look beautiful on buildings. Lots of ivy grows in my neighborhood, too, both in a cultivated and a wild form. It's an interesting plant. Thank you very much for the vote and the share. Hi, Bill. Yes, I can definitely see how gaining control over ivy could be considered "more work than it was worth"! I guess it depends on how much a person likes the plant. Thanks for the comment! Hi, ologsinquito. I agree - I think that English ivy is pretty, too. It would be wonderful if new and safe cancer treatments were discovered. The falcarinol research suggests that the chemical may inhibit cancer development rather than treat it, but that's still important! In the Bay Area we would see Robins eat English Ivy berries and get intoxicated and fly into things One flew in the bathroom window and into the trash. Thanks for the education Linda. Very interesting hub. We see lots of ivy covered buildings here in the northeast. I didn't realize how difficult it can be to get rid of it. We also see it as ground cover around trees a lot. I can definitely see it providing cover for snakes and other critters. Great job. Voted up, shared, etc. I've never been a big fan of ivy. It always seemed like more work than it was worth. Very interesting facts here my friend. Thank you for the research. English ivy is very pretty. It's interesting that it may have some medicinal uses. That would be wonderful if it could be used to treat cancer. I hope it would be a non-toxic treatment, as that's what is desperately needed. It's very interesting to hear that you have an English ivy plant growing in the desert, MJ. What a versatile plant! Where I live rats hide out in ivy, but generally not snakes. I'm lucky that there are no poisonous snakes living near me. Finding a dangerous snake in ivy would be very scary! Thanks for the visit and the comment. I thoroughly enjoyed this, Alicia. Despite being in the hot desert, in my backyard I have a thriving, old, enormous English Ivy plant growing up against the drystone wall in the sunken garden. As an Anglophile at heart, I cherish that plant! I appreciate the reminder that it is toxic and can cause a skin reaction. Of course, I am already cautious around it because, as Jodah mentions above, it is a popular hangout for our snake population -- I never know what's lurking beneath those abundant leaves. Hi, Jodah. I know what you mean about English ivy! I love its appearance, but it can be a big nuisance if it's not controlled. Thank you very much for the comment and the vote. Very informative hub Alicia with great pics too. We have English ivy growing on our woodshed. It is a very attractive plant but grows quickly and becomes invasive, clogging the gutters and there is a chance as it thickens it could dislodge the guttering from the house, so I am forever cutting it back. It also provides a haven for snakes so that is a worry. Voted up.